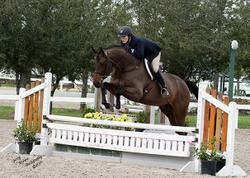 Clark Kent (USEF 5388084) is a gorgeous 9-year old, 17.0 hand, imported Hanoverian gelding. 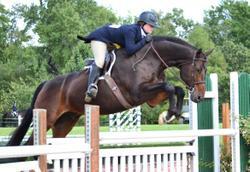 He easily schools 3'9”+ with an incredibly stylish hunter jump every time. 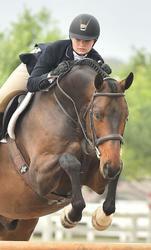 He is a beautiful mover and is always in the top of the hack. Exceptional personality with a great attitude and minimal prep. 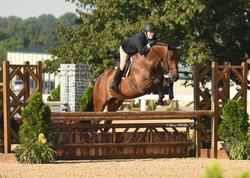 Clark is currently showing in the Performance divisions and National Derbies with a professional, as well as Adult Amateur Hunters and Children’s Hunters with a 14 year old. He has experience in the Adult Amateur, Children’s, and Junior Hunters as well as the Ariat Medal and Taylor Harris (THIS) medal. 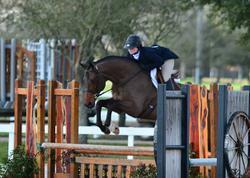 He is brave to the jumps, has smooth lead changes, and a big step. 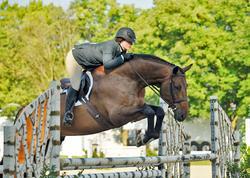 This horse has TONS of potential to be a star in the International Derbies. Clark has a heart of gold and is ready for the next step in his career! Open to on-site lease in Argyle, Tx. I've sold horses on most of the major internet websites and through the most popular print media. Bigeq.com gets me the largest number of legitimate inquiries for my advertising dollar. I will continue using as many options as I can for selling, but all my horses will get a Bigeq.com ad first.